Radio Paz's general manager, the Rev. Roberto Cid, has to be the happiest man in Miami. 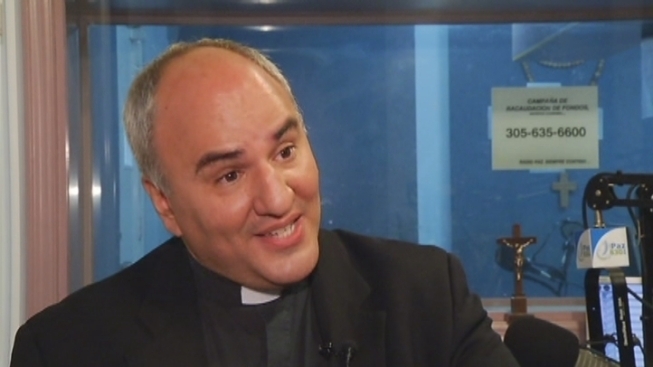 He is Argentine, a Catholic priest, and the new pope is a Spanish speaker. That's all good for the little AM radio station Cid runs. 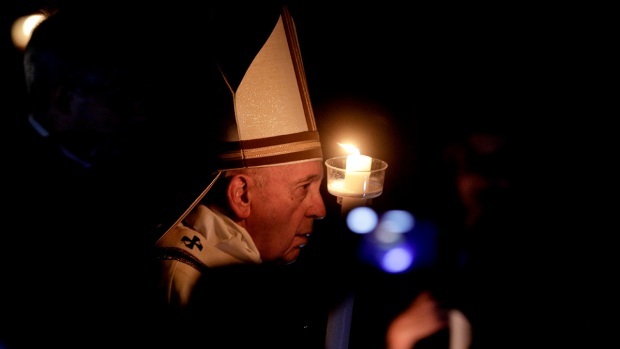 "The pope can speak to our audience without translation," Cid says of the new pontiff, Pope Francis. That's important for the Catholic Church which wants to shore up its standing with what is now the largest single group of Catholics in the world: Spanish speakers in North, South, and Central America. Radio Paz is owned by the Archdiocese of Miami and broadcasts a mix of music, political talk and plenty of religion. "The fact that he will speak Spanish will mean that he will not have to be translated," Cid says about Francis and his station. "It is our hope that people who tune in will consider us the voice of the pope and the archbishop." For the outgoing station manager, Pope Francis is a marketing dream come true. He laughs about the marketing, but adds, "I guess so, yes, my greatest hope for the radio station is that we can proclaim the Gospel loud and clear." He is counting on the Spanish-speaking pope to do just that. Radio station staffers seem to have a new energy – it is almost like they have a new star in their programming lineup. Cid says that the new pope will have plenty to say and is not afraid to defend the church from evils from within and without. "As a good bishop (in Buenos Aires) he is not afraid to speak the truth to power, even if that may mean that power would ostracize or harass the bishop," he says.